Every Jaguar feels like no other vehicle on the road. Moving to all-electric power doesn’t change this. 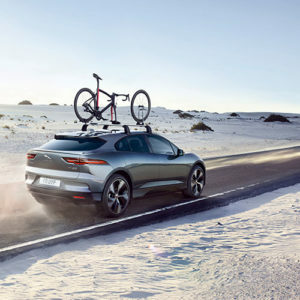 Built from the ground up, the Jaguar I‑PACE is a pure Battery Electric Vehicle (BEV). Thrilling to look at and drive, the I‑PACE is the smartest Jaguar performance SUV. The I-PACE is a Jaguar above all else – a true driver’s car. Its electric motors and near perfect weight distribution deliver 512 lb-ft of instant torque and sports car agility. I‑PACE’s Touch Pro Duo infotainment system makes it simple to control all the vehicle’s technologies. 4G Wi-Fi capability is standard and a host of connectivity features mean it’s easy to keep in touch with your digital world. 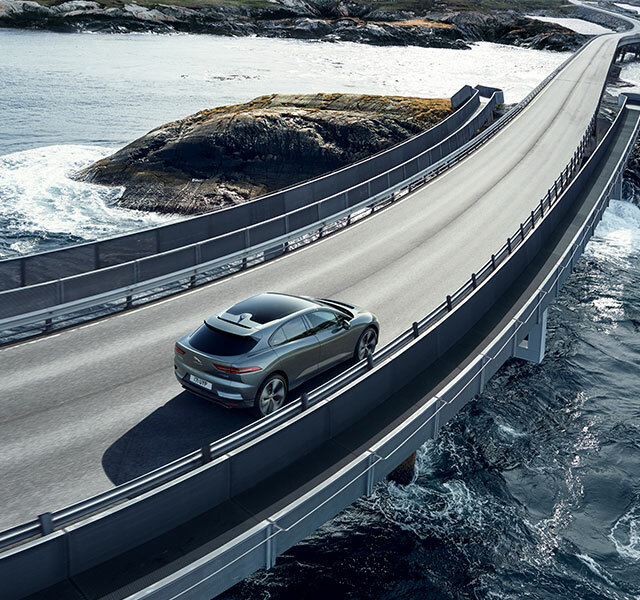 Instant torque and All-Wheel Drive traction gives the I‑PACE the acceleration of a sports car. It reaches 100 km/h in 4.8 seconds. The 90 kWh battery of the I‑PACE is made up of high energy density lithium-ion pouch cells. Its design and state-of-the-art thermal management system supports longevity and periods of sustained maximum power. 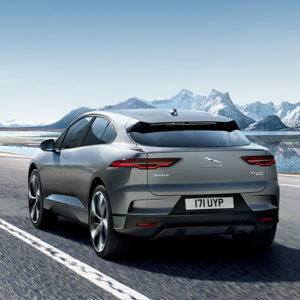 The I‑PACE is propelled by two permanent magnet synchronous electric motors. Similar to the technology found in the I-TYPE Formula E racing car, these motors generate 394 hp and 512 lb-ft of torque. The I‑PACE has a compact footprint from the outside but exceptional space within. There are five full seats, innovative storage, a substantial rear cargo space of over 656-litres and 27-litres in the front storage compartment. Whether this is your first or next electric vehicle, discover how the Jaguar I‑PACE fits seamlessly with your lifestyle using our range calculator and charging questionnaire. 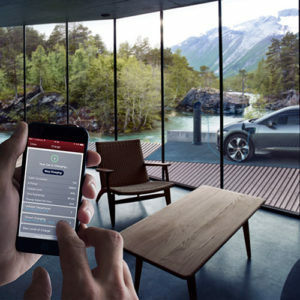 I-PACE owners receive the financial benefits electric vehicle ownership affords. Incentives that make day-to-day driving more convenient and cost effective can include government grants, lower road taxes, reduced city-centre tolls and easy access to high occupancy vehicle lanes. At Jaguar, we are committed to creating electric vehicle’s that are electrifying to drive and to watch. Jaguar has been racing in the Formula E Championship since 2016 and, in 2018, the I‑PACE eTROPHY will become the world’s first all-electric production-based international race series. The next chapter in the Race to Innovate has begun. 1. MSRP is the Manufacturer’s Suggested Retail Price and excludes optional equipment, destination/handling, air conditioning charge, retailer fees, registration, license, insurance, Green Levy (if applicable) and any other applicable environmental charges/fees, PPSA (if financed or leased), and sales tax (some of which may be due at signing), other charges may apply depending on province. Retailer price, terms and vehicle availability may vary. See your local Jaguar Authorized Retailer for details.